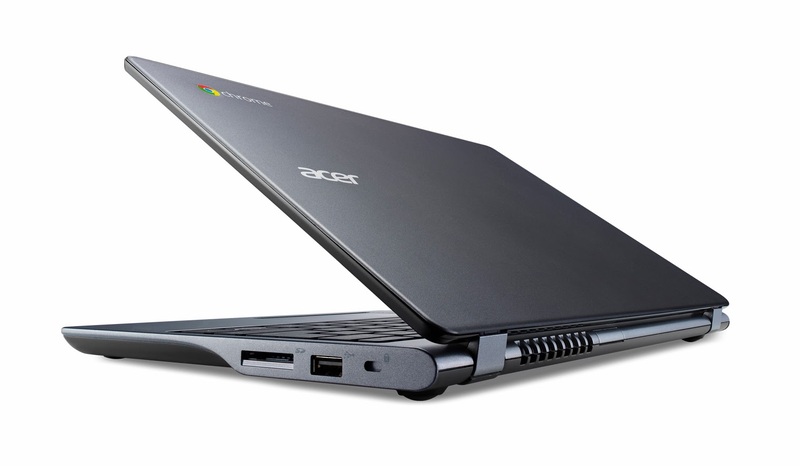 Acer has launched new Chromebook named C720. The C720 is comes with many changes from last year launched C7 Chromebook, they improved battery life with switching to Haswell processor and also switch from SATA HDD to SSD ( Solid State Drive ). The Acer C720 Chromebook will last 8.5 hours of battery life, it has thinner body. The C720 has Haswell-based Intel Dual-Core Celeron 2955U processor clock speed at 1.4 GHz with 4 GB of RAM. 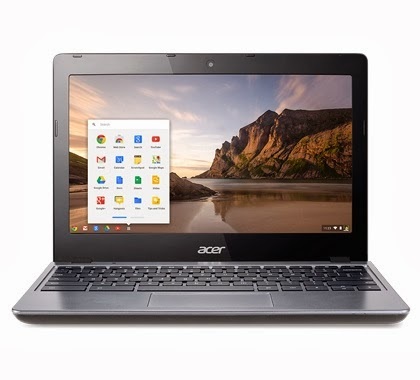 Acer's C720 Chromebook have a 11.6-inch display with resolution of 1366 x 768 pixels. It has 16 GB SSD and in addition feature it has Wi-Fi 802.11n with Dual-band support. 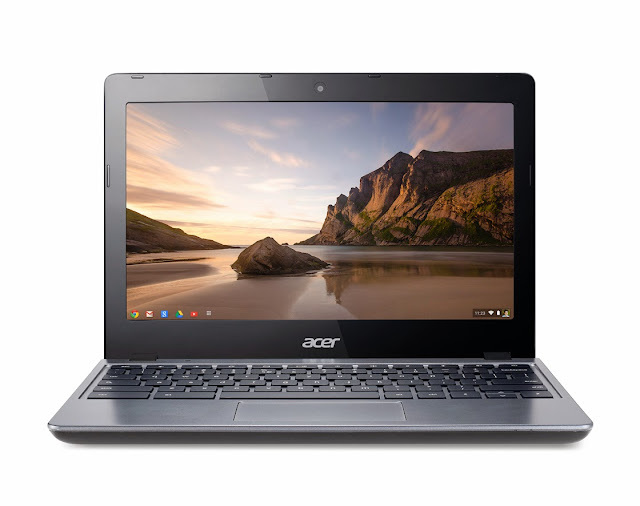 Acer said that there will be different configurations of the Chromebook C720 available in the coming weeks, but they didn't provide any specific details on C720 Chromebook. According to rumors C720 will get a touchsceen and may get 4G LTE like Chromebook 11.